This round photo frame is as precious as the memory it holds! 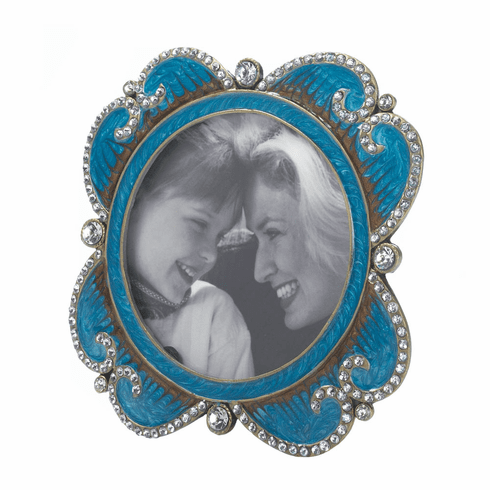 Gorgeous glittering rhinestones surround turquoise blue enamel, and your favorite photo can be placed in the middle of this glorious work of art. Fits a 2¾" x 2¾" photo. Item weight: 0.2 lb. 4¼" x 2" x 4¼" high. 2¾" x 2¾" Alloy and glass. UPC: 849179024420.